and Barkley & She-Ra too! Since we have had so many friends from all over the place wish us well during this pregnancy and since there have been so many of you that live outside of Florida tell us that you wish you could be there to celebrate at some of our baby showers, we decided to open the phone lines up. During the next episode of “The Adventures of Wayne and Tina” we’d like to play some of the voicemails that you have left us in celebration of this baby coming soon! If you’d like to participate in our “Online Baby Shower”, all you have to do is call (352) 397-4615 and leave us a voicemail! Spoiler Alert: It’s a girl! Book Review – Here are the books that Tina mentioned during the episode! Alexander and the Terrible Horrible No Good Very Bad Day – Wayne’s favorite kid’s book! 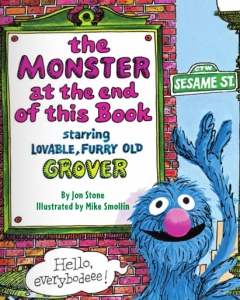 The Monster at the End of This Book – Wayne’s 2nd favorite kid’s book! The Podcast is Back! 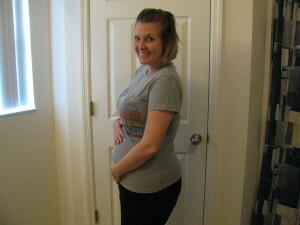 We discuss our new arrival and testing out diaper bags and strollers. And we give our quick reviews of Toy Story 3 and Despicable Me! Copyright © The Adventures of Wayne And Tina .